I love your meals. Don’t stop doing them. I follow each weeks plan with a bit of alteration. The meals are great and tasty. One question, your oatmeal breakfast only asks for 2 tablespoons milk. I think if I ate my oats that way it would be like eating dry sand. I will alter the recipe. You add the milk after it’s cooked in water. I love your meal plans. The chicken salad and white turkey chili were fantastic. I am looking forward to making the lasagna boats and can’t wait to try the cilantro lime cauliflower rice! I LOVE your meal plans thank you!!!! The quick oats, is that half a cup before cooking? Please continue the meal planning! I used to stress over weekly meal planning until I found these. Please keep the meal plans going. I love them!! Love all of your recipies! there’s hardly a reason to go anywhere else for how to make a good meal! Hope you and your girlfriends had a great weekend in Nashville and found some good food! I love your plans. I don’t follow them exactly, but use ideas every week to stay on track. Thank you! I think this is brilliant, thanks so much. And like you said, something for everyone. The meal plans have helped me plan better healthy meals for my family. THANK YOU!!!! I love these meal plans! 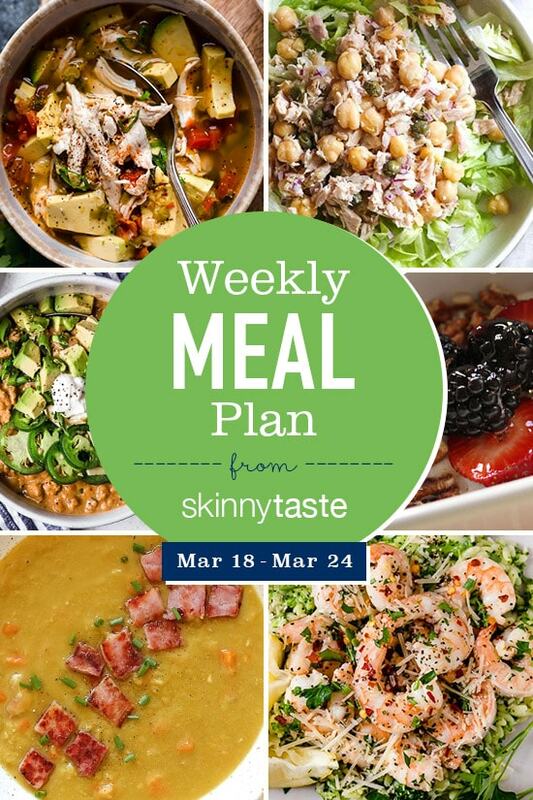 I’ve been on your mailing list forever, but just saw these meal plans! This is going to save me so much time! Thank you! I absolutely love your meal plans! So detailed and user friendly, keep up the great work!!! Your meal plans are a godsend for my family – although I only use 1/2 the dinners each week as we are a family of two during the school year and most dinners are portioned for four. But that works because I have 6 options, choose 3 and am a happy camper :). Thank you for continuing to provide these realistic, tasty meal plans. I love the meal plans- please keep making them!! Thank you!! These looks great! How much do these weekly plans cost? I’m on a strict weekly $150 grocery budget. Is it really just one Tbsp of milk for the oatmeal? It doesn’t seem like enough moisture for the oats. Thank you for creating these. 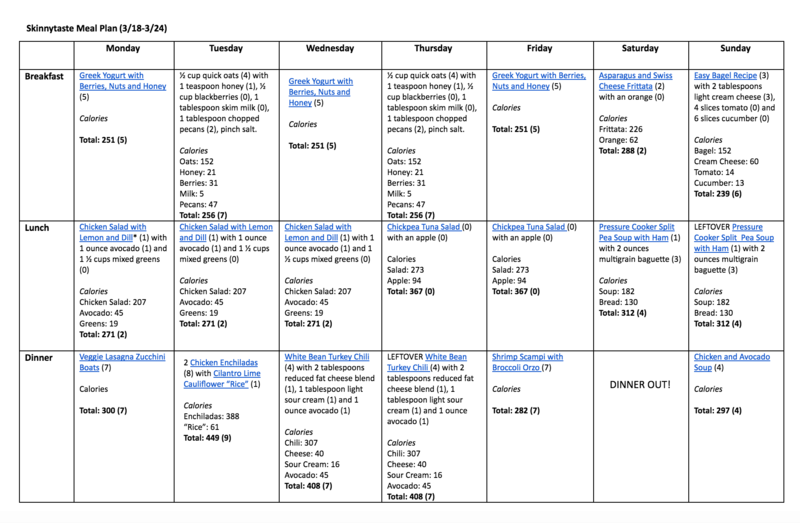 Meal plans I have lost almost 20 pds. Added after you make it with water.